BYTE is now offering an exchange for youth ages 14-17! 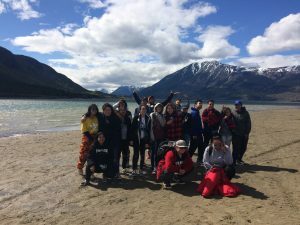 Through the YMCA Youth Exchange program, BYTE organizes groups of 12 youth for one hosting phase in Whitehorse and one travel phase to another community. Our Whitehorse team is paired up with a youth group from that community for an awesome experience of cultural sharing and building new friendships.Â Youth are expected to help out in fundraising initiatives as all activities, travel and accommodation will be covered. Stay tuned for information on our next exchange program! 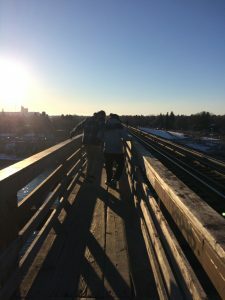 In 2017-18, BYTE partnered with Canadian Roots Exchange to offer two five-day exchange phases exploring reconciliation, decolonization and building solidarity with Indigenous peoples. 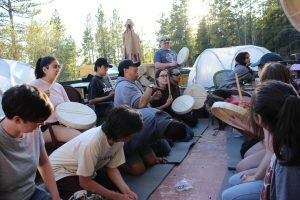 Our Whitehorse team of Indigenous and non-Indigenous young people included three leaders and twelve high school-aged youth (14 to 17 years). From March 21-27, 2018, our team travelled to Saskatoon and was hosted by the Canadian Roots team, and from May 17-23, 2018 we hostedÂ the Saskatoon team in Whitehorse. This exchange includes land-based activities, community engagement, volunteering with local organizations and of course lots of fun!